Direct Language App - we create language learning mobile apps for Android and iOS. 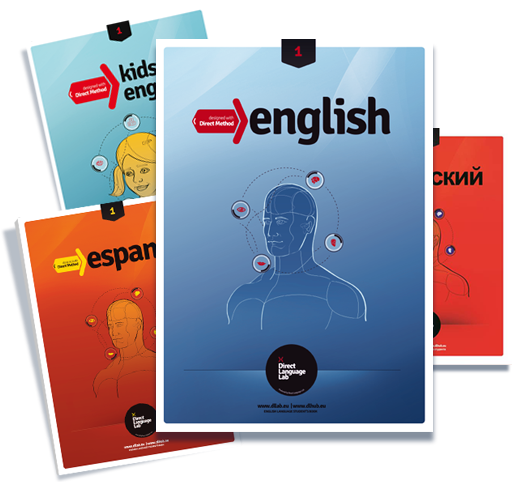 We publish language teaching and learning materials for schools, companies and individual students all over the world. We currently cooperate with 700 language schools in over 30 countries. Our mission is to provide language schools with coursebooks for learning foreign languages by means of the direct method. We provide coursebooks for teaching English, French, German, Italian, Spanish, Portuguese, Polish and Russian and as well as Business English. Direct Language App – we create language learning mobile apps for Android and iOS. Direct Language Hub is a modern e-learning platform for learning foreign languages using the direct method. By using our program, you will get to know various accents – and learn to understand people from different parts of the world. The natural way of communication is reflected in our online courses through questions and answers, which is the basis of the direct method. You can study English, Spanish, German and French with almost 20 different courses that are now available. 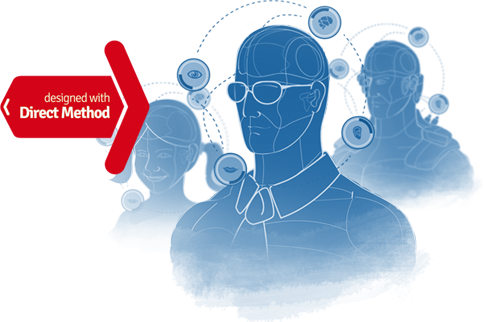 The direct method is fast and efficient, allowing everyone to achieve noticeable results. It can be said that the main objective of the direct method is to teach the skill of communication in a foreign language through minimizing the use of the mother tongue during the lesson, as well as through training linguistic reflexes. This leads to thinking in the target language, and hence, the ease of using the target language in practice is gained. The best way of learning a language is simply through speaking it. Students take part in the lesson actively, answering their teacher’s questions in a full form, so as to extend the speaking time and practise as many words and grammar structures as possible. To sum up, vocabulary is of more importance than grammar, and the most important is speaking.